Saving a down payment is one of the most important—and often most challenging—aspects of buying a home. The larger your down payment, the less you have to finance. That in turn could lead to a lower interest rate and a lower monthly payment, and it could help you to avoid costly private mortgage insurance. Unfortunately, many would-be buyers struggle with getting a down payment together. In a 2017 Zillow survey, nearly 70 percent of renters said saving a down payment was the biggest hurdle to buying a home. If you're ready to become a homeowner, asking Mom and Dad to help with your down payment may have crossed your mind. 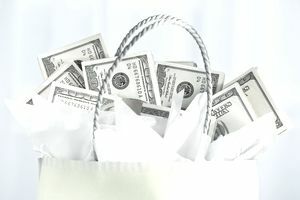 While down payment funds can be gifted, there are certain rules that must be followed, including drafting a down payment gift letter. The amount of down payment funds that can be gifted from your parents or another family member typically depends on the type of mortgage loan involved. If you're getting an FHA loan with a 3.5 percent down payment, for instance, the entire down payment can be a gift. On the other hand, if you're using a conventional Fannie Mae or Freddie Mac loan, the entire down payment can only be a gift if you're putting down 20 percent or more of the home's purchase price. If your down payment is less than 20 percent, some of the money has to come out of your own pocket. Once you've worked out how much of your down payment funds can be gifted, the next step is writing a down payment gift letter. This is required by the lender any time part or all of your down payment is a gift. There's a specific process for writing the letter and documenting the gift. Remember, gifts are only allowed if they're from family members, not friends. An exception applies if you're engaged and your fiancee is providing the gift. When writing the down payment gift letter, you'll need to include documentation of where the gift is coming from and your receipt of it. For instance, the lender may ask to see a bank statement or other form of proof verifying that the donor has the money to gift to you, a copy of a canceled check made out to you, or paperwork showing an electronic transfer between the donor's account and yours. If the person gifting the funds to you is selling shares of stock or other investments to raise the cash for a down payment, you'll need a statement from their brokerage account showing that transaction. One important caveat to remember, whether you're receiving a check or an electronic transfer from the gifter: deposit this money into a separate bank account apart from your checking or savings. You don't want to commingle gift funds with any of your other finances. Doing so could complicate the paper trail and cause the lender to reject the gift altogether. Are There Tax Implications for Down Payment Gifts? Yes and no. As the person receiving a down payment gift, you wouldn't incur any tax liability, regardless of the gift amount. But, the person making the gift to you could trigger the gift tax if the amount exceeds the annual exclusion limit. For 2018, for instance, parents who are married and file a joint return can gift up to $30,000 per child for a mortgage down payment (or any other purpose), without incurring the gift tax. Another family member, such as grandparent or aunt, could gift up to $15,000 to you before the gift tax applies. As you plan your mortgage down payment, it's important to discuss the potential tax implications with the person or persons who are planning to gift the money to you to ensure that they're not at risk of increasing their tax bill.